Here's a cider version of the classic pound cake for you to enjoy. The pound cake has universal appeal - the Americans like to add sour cream to theirs which gives it a nice tang and cuts out some of the butter, the British add vanilla for richness, the Mexicans like to add walnuts or raisins to theirs, the Colombians soak theirs in wine and the French will often add lemon juice or chocolate. 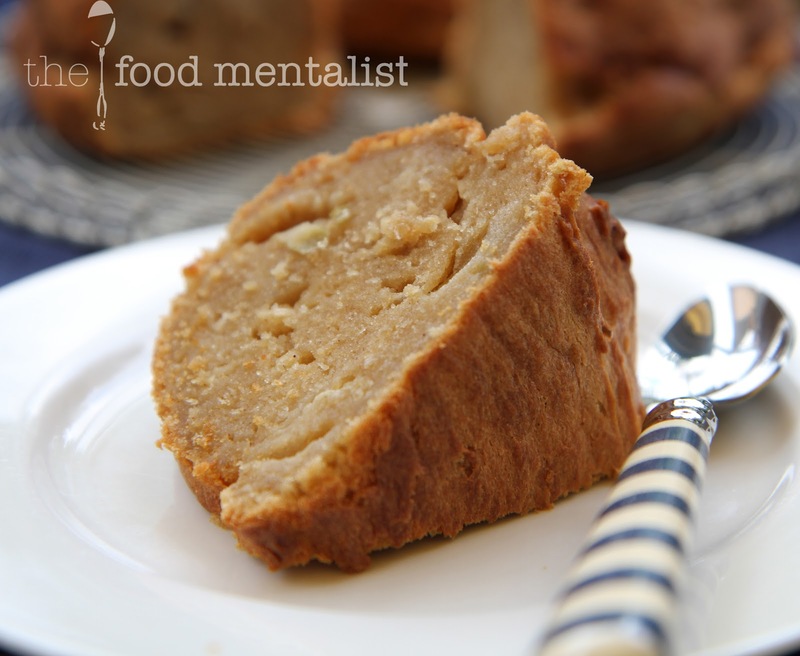 There is even a National Day to celebrate the Pound Cake in the U.S - March 4th - Love it! Traditionally made with a pound of each ingredient - butter, flour, eggs and sugar - this cake recipe makes quite a bit of batter and can be halved if you wish to make a smaller cake. I substituted the plain flour for some gluten free alternatives ( see below) and it turned out quite well. This is not an overly sweet cake despite the sugar, cider and maple syrup. It is incredibly dense and moist and has an almost pudding like texture. I gave my Nan a small slab of it and she enjoyed it and added it would be nice served piping hot with a good dollop of custard. Nice one Nan! That's definitely do-able during this cold winter weather. For this cake, I used some of The Hills Company Hybrid Series - Apple & Ginger which was perfect given the spice element in the cake. You can use any cider though - pear, apple or otherwise. 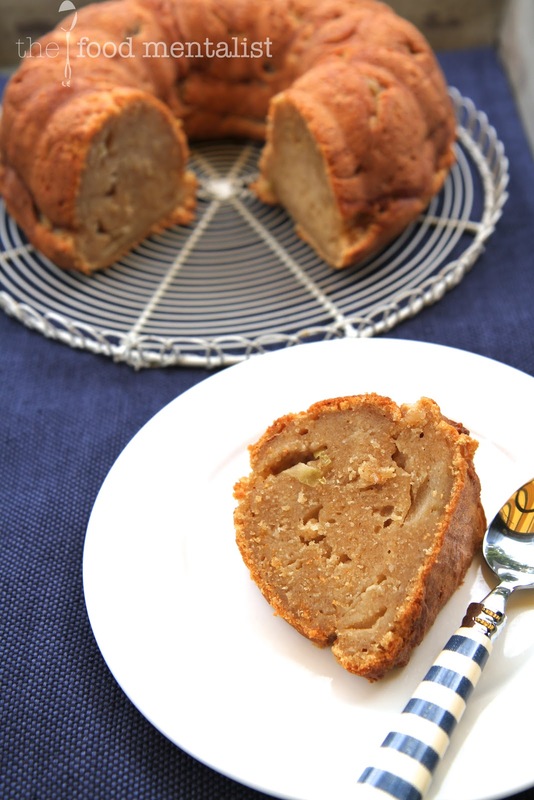 For something different you could always add a maple syrup glaze to the cake, or as my Nan suggests - serve it hot with a generous dollop of vanilla custard. Bring the cider to the boil in a medium saucepan over medium-high heat. Continue boiling the apple cider for 25 to 35 minutes, until it has reduced to slightly less than 1 cup in volume. Remove the cider from the heat and add the maple syrup. Allow to cool. Preheat and oven to 165'C (325F). Lightly grease a 10-inch bundt cake pan or large loaf pan and set it aside. Cream the butter, sugar, and vanilla until the mixture is light and fluffy. Add eggs, one at a time, beating for a few seconds after each addition. Stir together the remaining dry ingredients (flour, spices, baking powder, and salt) and then add half of the dry ingredients to the creamed butter-egg mixture and beat until most of the flour is incorporated. Add the cooled cider-maple syrup reduction to the cake batter and beat for 30 seconds. Add the grated fruit, stir to combine and then beat in the remainder of the dry ingredients. Spread the batter into the prepared pan and bake in oven for 1 hour and 10 minutes, or until a cake skewer inserted comes out clean. Cool the cake in the pan on a wire rack for 10 minutes. Shake pan from side to side to loosen the cake (you should hear and feel a light thumping), and use a small rubber spatula to loosen any stubborn sides. Place a serving platter over the top of the cake and invert it, removing the pan form the top of the cake to allow it to cool completely. 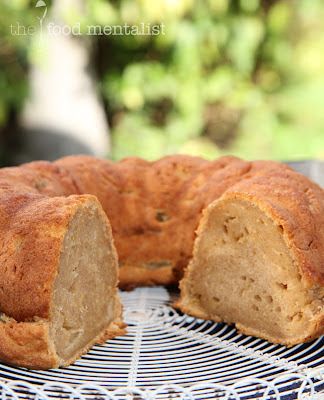 What is your favourite pound cake recipe? Your cake looks incredibly moist and delicious, Erin. 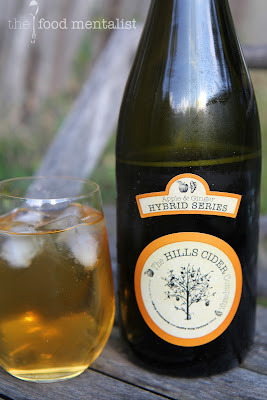 A great way to use a tasty cider. It was just a matter of time before you combined cooking and cider Erin! ;) It looks fantastic-really moist! 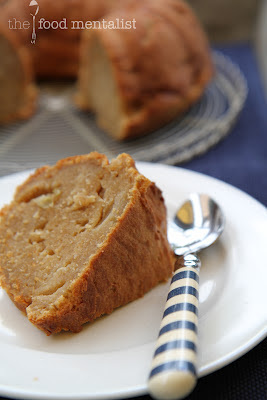 I adore pound cake! This looks outrageously good. Can't wait to try it!